Keep business running smoothly with this engraved "please pay here" desk plate available in your choice of color. Payment Due On Receipt Sign | 2" x 8"
Keep customers informed in every way you can, especially where they should pay! 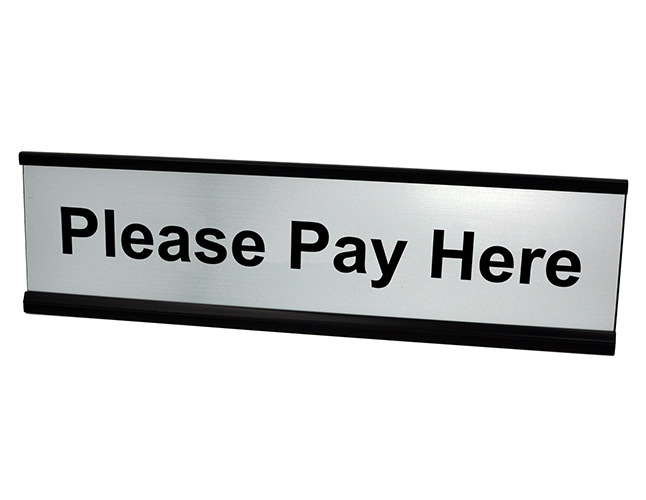 This "please pay here" desk plate will help direct customers to the right check out counter. Add professionalism to your office with stylish engraved desk plates like this PLEASE PAY HERE plate.